Both company founders caught themselves asking how they could make Goldkehlchen even better. They came to the same conclusion. It just ain’t possible! But, they could make it redder! 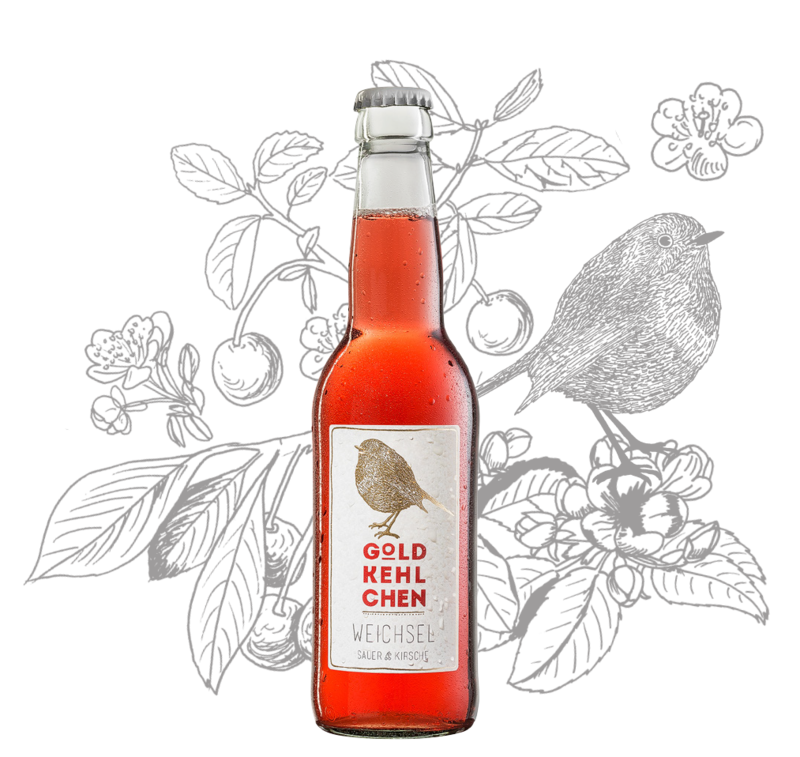 And therefore, they proudly presented: Goldkehlchen sour cherry, 3 -4 hand picked Styrian apples per bottle, refined with fruity cherry juice. On this note: happy chirping! 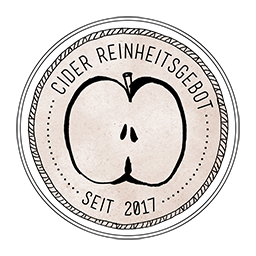 In order to provide Goldkehlchen with its unique taste, three to four handpicked Styrian apples per bottle are processed within a radius of only 2000m. In contrast to regular cider, no artificial ingredients are added. The use of apple juice concentrate, colourings and sugar is also completely avoided. The light sweetness comes from where it tastes the best: from the apple itself. For this reason, Goldkehlchen is produced and bottled with a lot of care and attention, directly at the farm in Styria. In this way, the environment is protected, and a 100% Austrian product can be guaranteed. 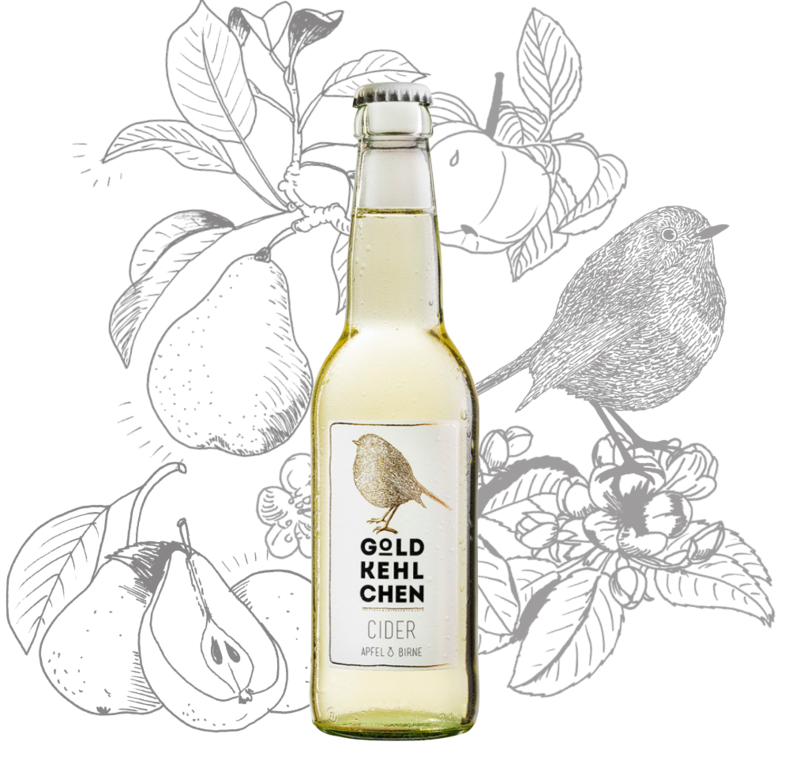 We don’t wish to compare apples with pears, and therefore combine both fruits into a new tasty cider. Hand picked Styrian apples refined with real pear juice from the Mostviertel is what the Goldkehlchen is made of. Vegan, additive free, but made with tender loving care. 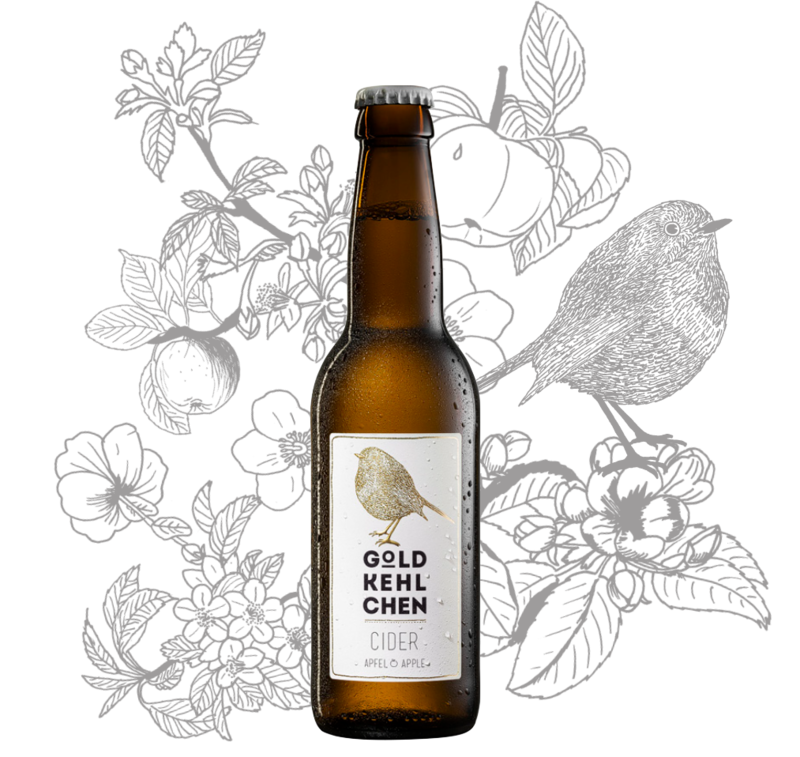 And what’s more: Goldkehlchen is the right choice of drink if you really want to chirp for joy. 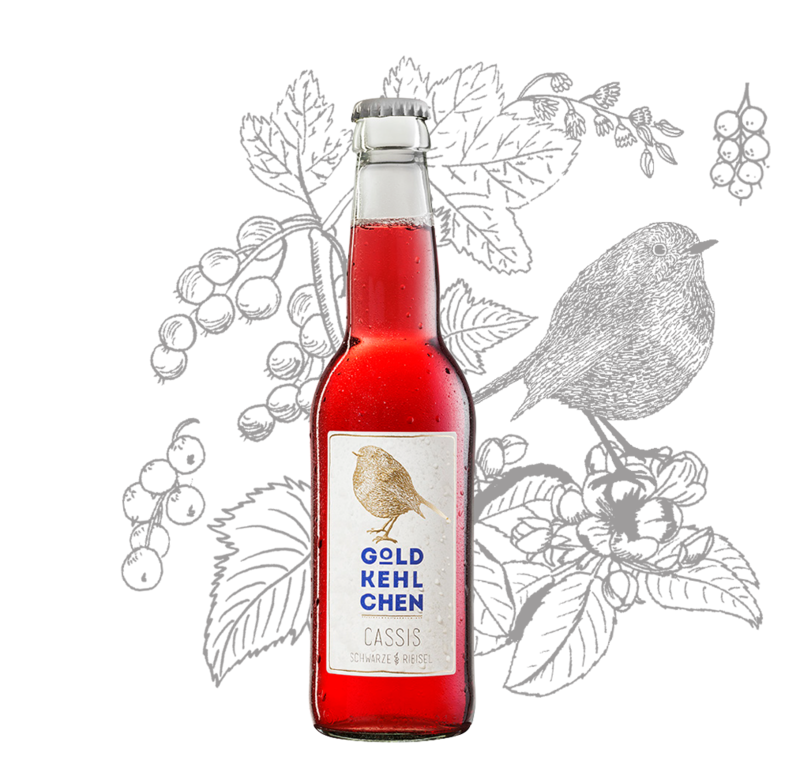 A little birdy told me: The youngest and darkest chick in the nest is Goldkehlchen Cassis, also known as blackcurrant. One thing remains the same though: the unbeatable taste of fresh berry juice. With this in mind: happy chirping!